That’s right! Celebrating it’s 15th Anniversary, Hulu has announced that the entire series of Smallville will be available to stream starting on October 1st! Smallville ended in 2011, having reached 10 seasons. The series starred Tom Welling as Clark Kent, Allison Mack, Kristin Kreuk, Michael Rosenbaum and John Schneider. Make sure to check it out on Hulu on October 1st! 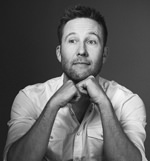 So if you saw the Facebook Live Michael did the other day you will know that Michael is going to be on Jason Manns new album ‘covers with friends’ which is out on September 1st! Miichael sings on the track Mad World and he sounds amazing as always we all know he has an incredible voice! Can we get an amen? 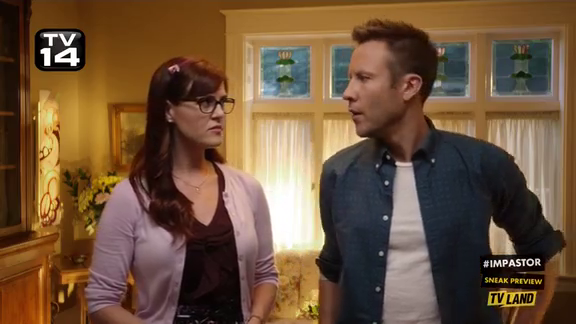 The second season of Impastor will premiere on TV Land, Wednesday, September 28th at 10:30pm ET/PT. 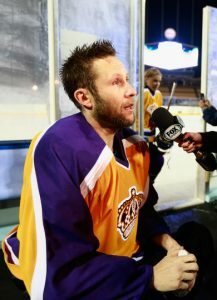 It was originally scheduled to debut June 26, but TV Land announced the delay back in May. The Impastor season two premiere directly follows the third season premiere of Younger, which was just announced. 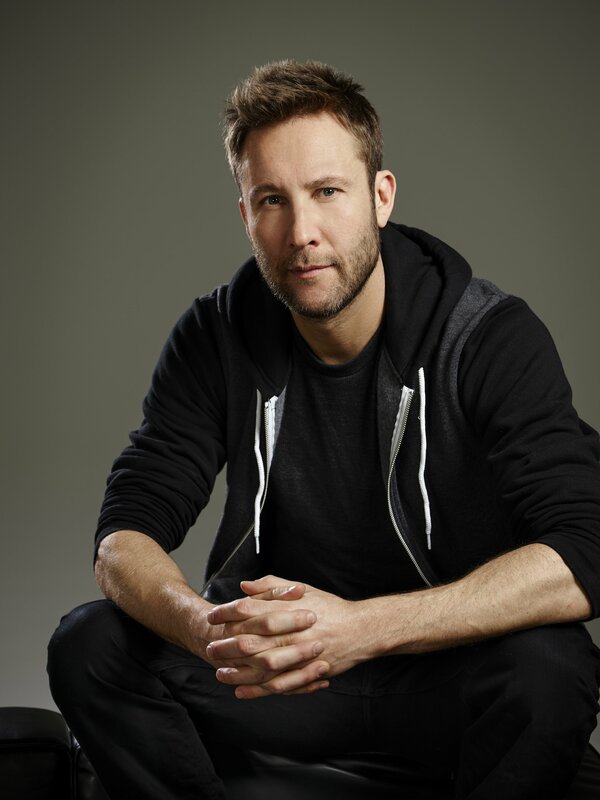 The Impastor TV series cast includes: Michael Rosenbaum, Sara Rue, Mircea Monroe, David Rasche, Mike Kosinski, Lindsey Gort, Matthew Kevin Anderson, Jonathan Young, and Bonita Friedericy. TV Land announced second season, back in March. Let’s pause for a few seconds to think back to how great Justice League Unlimited was. If you’ve been waiting for a high definition version for your personal collection, that time has just about arrived. Warner Archive Collection is released Justice League Unlimited: The Complete Series on Blu-ray for the first time in a full 16×9 widescreen presentation Tuesday, November 10, 2015. The series was a follow up to the Justice League series and ran from 2004-2006. Instead of just having a core team, it featured a huge collection of characters from the DC library. The original seven members were joined by heroes such as Green Arrow, Supergirl, Black Canary, and more. 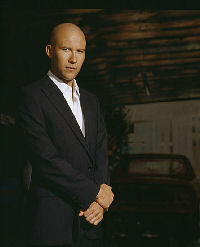 Besides all the villains in the DCU, they also had their hands full with Lex Luthor and the legion of Doom. The cast featured Kevin Conroy (Batman: The Animated Series) as Batman, George Newbern (Scandal) as Superman, Susan Eisenberg (Justice League) as Wonder Woman, Michael Rosenbaum (Impastor, Smallville) as Flash, Carl Lumbly (Alias) as J’onn J’onzz, Phil LaMarr (Futurama, Pulp Fiction) as Green Lantern and Maria Canals-Barrera (Wizards of Waverly Place, Cristela) as Hawkgirl. “Justice League Chronicles”: The series’ writers, producers and directors discuss their favorite moments among final season episodes. Warner Archive have announced that all 39 episodes of “Justice League Unlimited: The Complete Series” will be released for the first time on Bluray on November 10th, 2015. Bruce Timm’s Justice League Unlimited hits Blu-ray for the first time! A follow-up to Justice League, Justice League Unlimited opens up the DC animated universe to more heroes and villains. 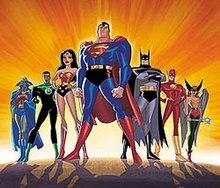 The popular series aired for three seasons on the Cartoon Network from July 31, 2004 – May 13, 2006 and starred the voice talents of Kevin Conroy as Batman, George Newbern as Superman, Susan Eisenberg as Wonder Woman, Michael Rosenbaum as Flash, Carl Lumbly as Martian Manhunter, Phil LaMarr as Green Lantern, and Maria Canals Barrera as Hawkgirl. “Justice League Unlimited: The Complete Series” on Bluray will retail for $35.99 (USD) and is currently available for pre-order at the discounted price of $28.39 at WBShop.com.